Every hull size in the Bar Crusher range will be on display at the 2015 Sydney International Boat Show, which opens next Thursday (30 July). From the 490 right up to the 780, NSW dealer Blakes Marine has selected a relevant model in each series – C, WR, XS, HT and HTP – to ensure you get a feel for everything Bar Crusher has to offer. 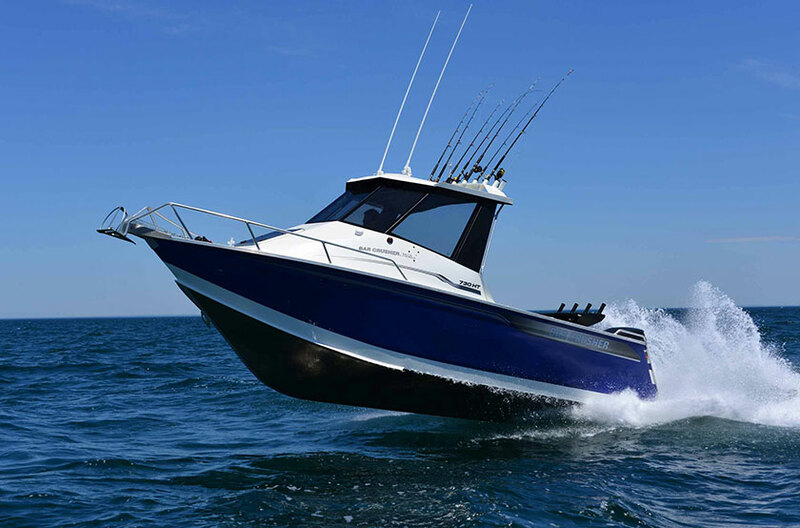 In the popular folding-roof cuddy cabin series, you’ll be able to check out the 575C, 615C and 670C; the hard top offshore Fishing Weapons on display will include the 615HT, 670HT and 730HT; while the comfortable pilothouse of the flagship 780HTP will be a real attention-grabber. Along with the highly-competitive pricing of the new 490 series, there will be plenty of other show-only deals available on the rest of the Bar Crusher range, so make sure you speak with Blakes Marine at the boat show for an awesome deal on your new Bar Crusher boat! The 2015 Sydney International Boat Show runs until 3 August.